STOP! LOOK NO FURTHER! This home is the PERFECT 10! Watercrest is an exciting new home community with resort style amenities & a location that can't be beat. The good news is...â¦ YOU CAN MOVE RIGHT INTO THIS HOME. Mr and Mrs Clean live here. Model like & it has only been lightly lived in for 6 months. NO PESKY CDD FEES HERE& low HOA fees makes this Venice's up & coming community. Lawn care is included in HOA. Lovingly maintained by the sellers, pride of ownership abounds the minute you open the front door. The lighting has all been upgraded from builder grade to designer, ceiling fans installed, under cabinet&over cabinet lighting installed along with window coverings & extra rain gutters. SAVE $$ AND AVOID THE BUILDERS FEES. 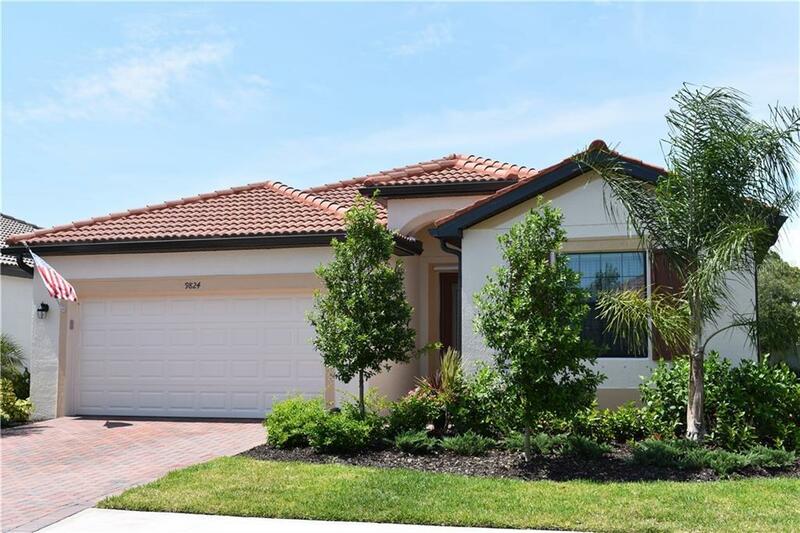 This 4 bedroom, 3 bath Trevi model is on a quiet street tucked back in the neighborhood. Walk thru the front door you will immediately notice the soft neutral colors, 20" tile on the diagonal, crown molding & open feel right thru to your covered/screened lanai into your private back yard. Enjoy the large master suite with walk in shower , soaker tub & separate WC. The 2nd bedroom has its own ensuite great for guests or extended family. Bedroom 3 & 4 share a bathroom. Great split floor plan. This is an Amazon Smart Home. A short drive straight down Venice Ave you will be toes in the sand on the beach or enjoying our historic downtown Venice with shops, restaurants, theater & Legacy Trail bike path. Many more upgrades & not enough space to brag so come see for yourself today!